Sunder II is a unique legendary Neutral support card. 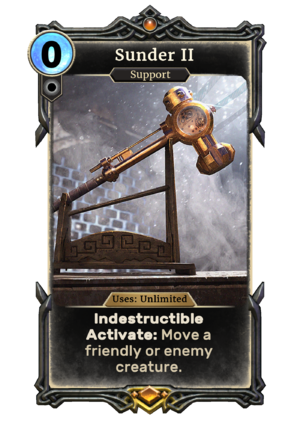 It is not obtainable as part of your collection, but instead appears in the The Tools match in Return to Clockwork City. This page was last modified on 23 February 2019, at 23:20.